Have you ever wondered what it’s like to cover a massive keynote? I can already tell you that it’s absolute insanity, beginning from the preliminary planning process to the eventual execution. And that’s just on the journalist’s end: Samsung, or whatever other major company is putting on the event, spends months meticulously planning every little detail in hopes that it will both surprise and delight its guests of honor. The device reveal is only a small part of these majorly choreographed events. We thought it’d be fun to offer a glimpse of what it’s like to cover one of Samsung’s biggest press conferences, so we documented it all: Waiting in line, our reactions during the keynote, and what it’s like fighting for hands-on time with the new devices. 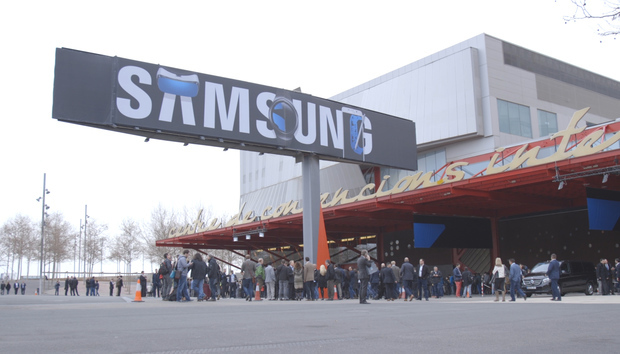 Grab a snack—or better yet, a strong drink—and enjoy our behind-the-scenes look at what it’s like to be a journalist covering Samsung’s biggest event of the year.